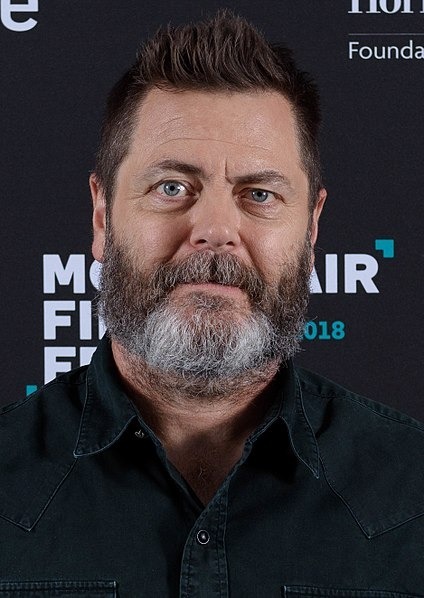 Nicholas "Nick" Offerman (born June 26, 1970) is an American actor, voice actor, producer, writer, comedian and carpenter widely known for his breakout role as Ron Swanson in the acclaimed NBC sitcom Parks and Recreation, for which he received the Television Critics Association Award for Individual Achievement in Comedy. His first major television role since the end of Parks and Recreation was his role as Karl Weathers in the FX series Fargo, for which he received a Critics' Choice Television Award nomination for Best Supporting Actor in a Movie/Miniseries and Gavin in the Ice Age franchise. Read more on Wikipedia.